I initially found out about this little gem from some Spanish translators I know. They meet here once a month to catch up and talk about their assignments and the industry in general. I figured Spanish translators really know their stuff about Latin American cuisine, and I was right. I took a small group of friends here this past winter. 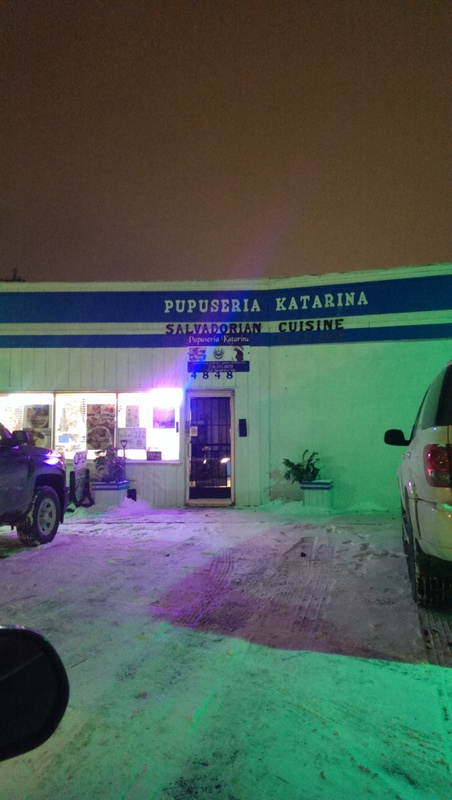 It was Arctic and snowy, but it didn’t stop us from enjoying a little Salvadorian flavor. We almost drove past the place. It is located in Old Brooklyn in a small strip mall on Broadview Road just north of Brookpark Road. It is a casual restaurant and rather small, with a few tables filling up a bright but sparely decorated restaurant. 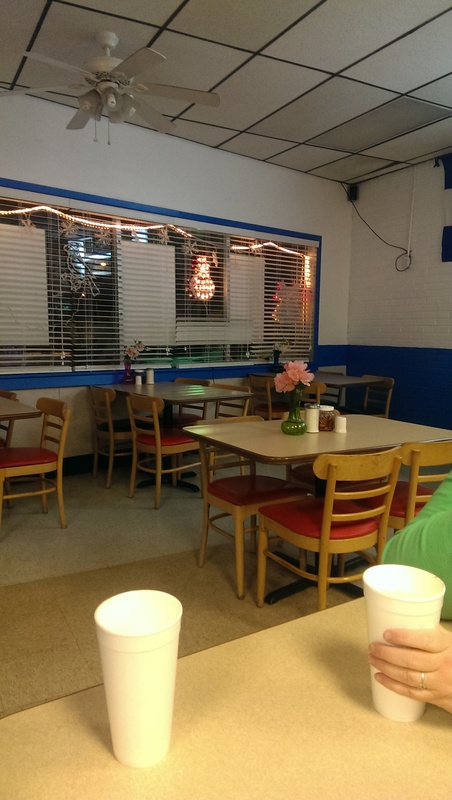 The restaurant is dominated by blue and white, which represent the colors in the flag of El Salvador. There were Hispanic music videos playing on the television behind the counter and some photos of some of the featured dishes. The menu also features photos, which is helpful if you aren’t familiar with the cuisine. The owner greeted us warmly, offered some great suggestions and was very patient with us when explaining the different dishes. 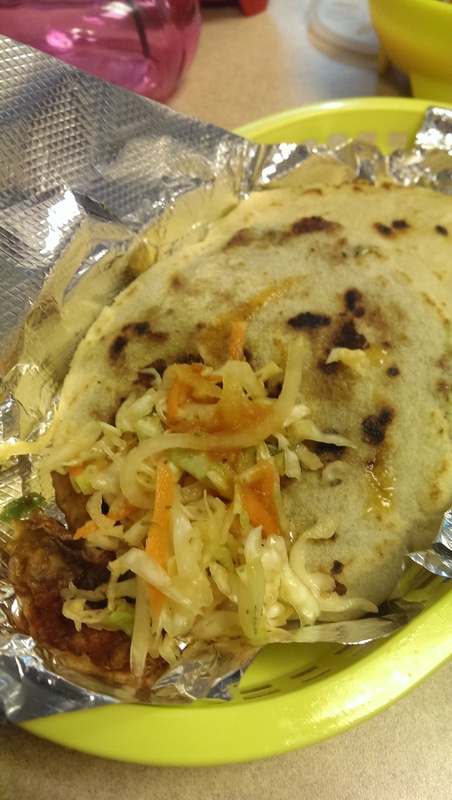 I had never had a pupusa, which are thick corn pancakes stuffed with various fillings like ground pork, jalapeno, chicken, cheese, etc. and fried on a griddle. They did not disappoint. 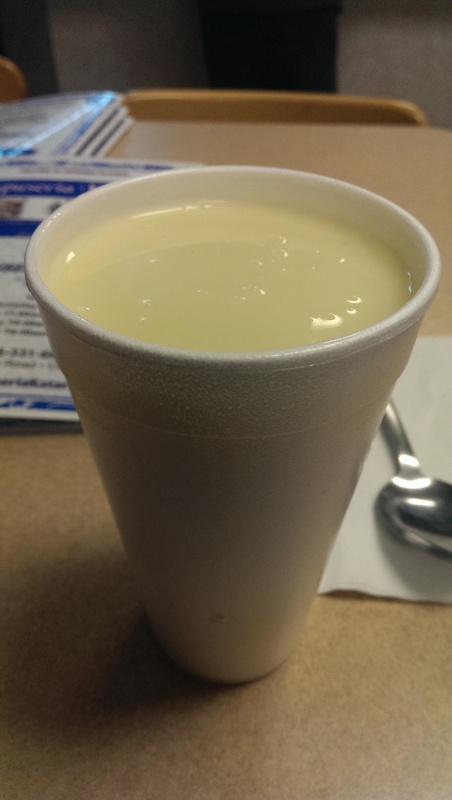 We started with the Atol, which is a hot soup-like beverage made from sweet corn, milk, cornstarch and cinnamon. It was delicious. They only serve it on Wednesdays, so plan accordingly. I could not stop drinking it and was craving it the next day. That’s the sign of a successful meal. 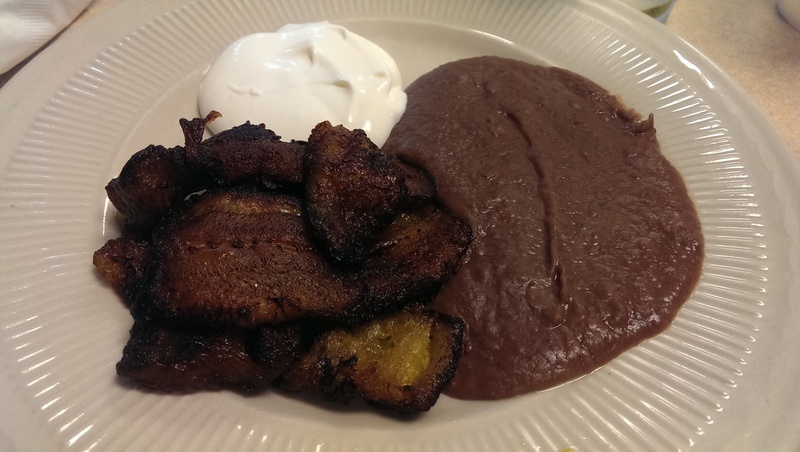 I ordered two pupusas – one revuelta (pork and beans) and one pollo con queso (chicken and cheese) – and an order of fried plantains, which came with refried beans and sour cream. I preferred the revuelta over the chicken, but they were both good. They were even better paired with a forkful of beans and sour cream along with the slaw and hot sauce that come with the pupusas. The plantains were delicious, nice and sweet. My friends all ordered vegetarian pupusas – loroco (an “exotic flower” native to El Salvador that is harvested in the morning because otherwise it is bitter), spinach, and garlic – and were very pleased. The spinach one looked super-cheesy. 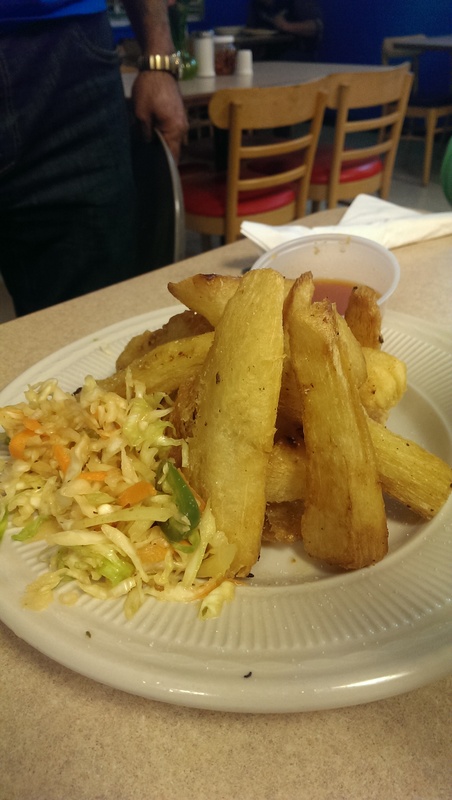 One of my friends also ordered the fried yucca and was really pleased . It wasn’t on the menu as a side dish, but was offered with an entree and the owner was happy to make some for her. I really liked them and they came with a nice dipping sauce. She lived in Mexico for a while and has toured several Central American countries (including El Salvador), so she appreciates good, authentic Latin American cuisine. She was thrilled with the place and was eagerly looking forward to going back on a weekend to enjoy their empanadas. They also serve hen soup on Sundays, which I hear is very good as well. I can’t wait to go back to try some more pupusas. Maybe next time I’ll go crazy and order the Pupusa Loca, which uses every ingredient on the menu in one big pupusa for $7. In any event, my bill was less than $13 and I left stuffed. We loved this place when we discovered it this summer! We’re fortunate that it’s within biking distance from home, so we’ll be back once the warmer weather hits. I just read that it is moving to the former Mexican Village spot on Brookpark Road in April. Still close to your home, but good for them!